Neil and Diana came to us wanting to refresh their website. Their business is well-known throughout the community and they wanted to increase that reach through a website that was fresh and vibrant. We set out to create a bold and vibrant custom WordPress website. We assisted Diana in selecting photos that best depicted their business. We spent time on SEO strategy to ensure it was ready to face the search engines including Google and Bing. 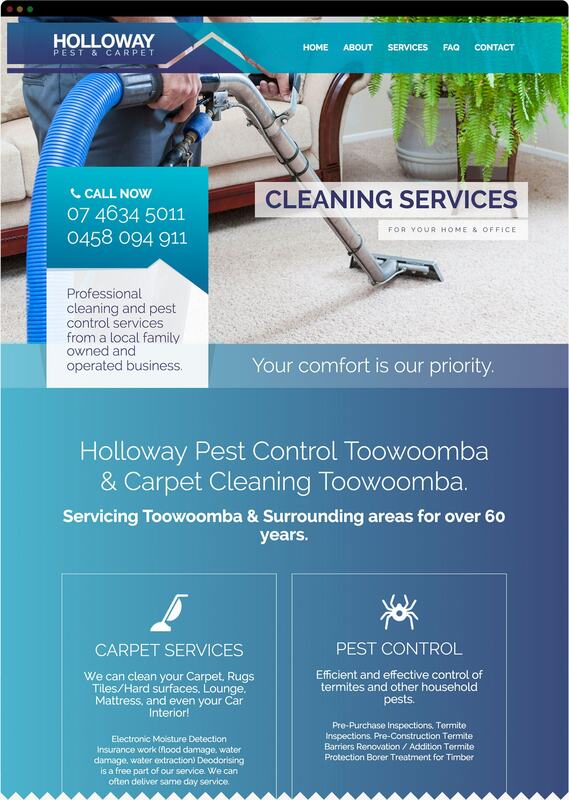 We engaged Hello Hudson to upgrade our carpet cleaning and pest control website. Ryan and Cassie worked hard to build our new website in accordance to our specifications. They worked closely with us and came up with a really impressive online platform that speaks volumes about their high efficiency. We love our new website, and customer feedback has been very positive about how attractive it is and is easy to navigate. We would definitely recommend Hello Hudson!